Want to check on your beloved pets while you’re away? 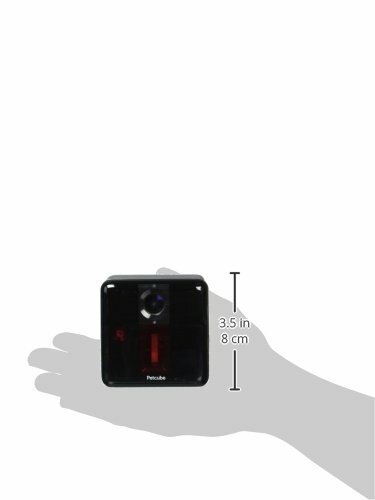 Now you can with the Petcube video monitor! You can talk to them, hear their meows and barks, see if they’ve gotten into trouble (even if it’s dark!) and even play laser tag! All from your phone! WATCH: 1080p HD video with a 138 degree wide-angle view, night vision, and 3x digital zoom. 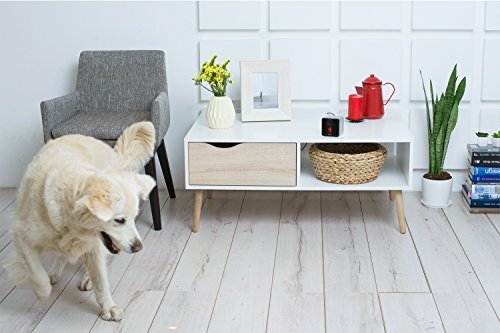 TALK & HEAR: get your furry friend off the couch and hear what's going on with two-way audio and automatic sound-detection alerts. 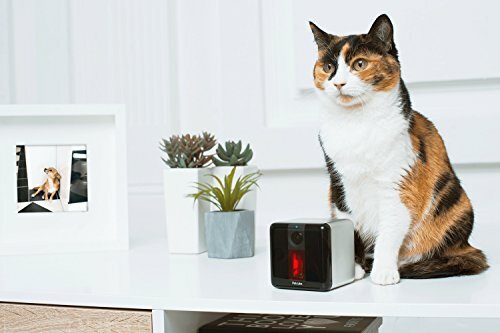 PLAY FROM AFAR: built-in human and pet safe laser toy controlled from your phone, or set to autoplay mode to regularly play and exercise your pet. 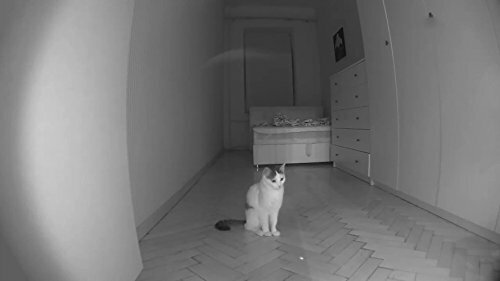 NIGHT VISION: check on your pets and home even at night. No more leaving lights on. EASY SETUP: via the free Petcube app for iOS and Android. No monthly fees required, and includes a 30-day free trial of Petcube Care cloud video recording service. 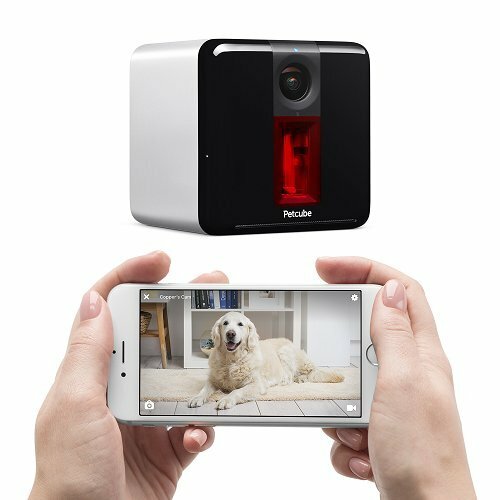 DESIGN: the best looking pet cam on the market. Brushed aluminum casing and stylish color choices blend with any interior.